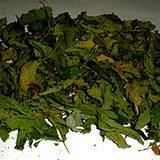 Organic catnip tea, known for its gentle action, makes it good for children with colds, infections or flu. This medicinal herbal tea also eases menstrual and indigestion-related cramps, headache and lowers a fever. Best known for its appeal to felines, catnip, or Nepeta cataria, is a member of the mint family. Catnip can be purchased or grown in your organic herb garden , but growing this medicinal herb can be a challenge if you have cats, or even if you have neighbors with cats. The plant's scent causes feline brain chemistry changes, so many cats love rolling in and munching on catnip. 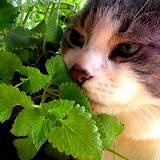 Considering all the amazing benefits of catnip makes growing this herb well worth the effort. 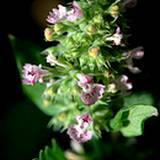 Catnip releases a soothing aroma and has been used medicinally by humans for thousands of years. It's heart-shaped leaves and lavender or white flowers have properties that can help relieve or prevent muscle spasms, increase perspiration and relieve flatulence. This medicinal tea also eases menstrual and indigestion-related cramps. Here are more herbal remedies for flatulence . For a headache or to lower a fever, a tea made with this medicinal herb is extremely beneficial. In addition, the tea's sedative effect has been known to treat insomnia. Here are some more of Grandma's Home Remedies for Headaches . Caution Because of its gentle and soothing, calming properties, catnip tea is frequently recommended for infants and children (consult your pediatrician first). Modify the strength of the tea depending on the child's age. 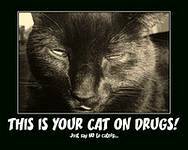 Organic catnip contains nepetalactone isomers, which can cause intoxication in cats. In people, however, the effect of these isomers can be mildly tranquilizing and soothing. Also, catnip's antispasmodic properties help to calm upset stomachs and reduce flatulence, bloating and diarrhea. 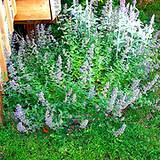 Catnip tea has been known to stimulate menstrual flow as well, so it should not be used by pregnant women. Here are more of Grandma's Home Remedies to Relieve Diarrhea . Or if your suffering from severe diarrhea try Grandma's Home Remedy for Chronic Diarrhea . To make the tea, pour 1 cup of boiling water over 1 teaspoon of dried, chopped catnip leaves. Steep the tea for 5-10 minutes, covering the cup so that the volatile oil doesn't evaporate, strain tea before drinking. You may want to sweeten the tea with a touch of honey. Of course, when using the tea to make compress or a soothing herbal bath, no sweetener is needed. Never use raw honey for babies! Catnip tea can be administered both as a drink and as an inhalation to help remedy a cold or the flu. Sip honey-sweetened tea with lemon, for extra vitamin C and soothe irritated mucous membranes, and breathe in the vapors to help alleviate respiratory congestion. Drink a cup of warm catnip tea before or after meals. The tea can help soothe stomachaches, counter flatulence and diarrhea and alleviate heartburn. It is also effective for colicky babies. Never use raw honey for babies! Pour 2 cups of boiling water over the herbs and allow them to steep for 5-10 minutes. Strain the mixture and, to promote sweating, sip it often or until your fever breaks. Pour 2 cups of boiling water over the herb mixture and allow them to steep for 5-10 minutes, strain the mixture. Sweeten this catnip tea with honey and lemon, if desired. Drink a cup every few hours to help alleviate your cold and flu symptoms. Never use raw honey for babies! Pour 2 cups of boiling water over the herb mixture and allow them to steep for 5 minutes. Strain the mixture. Sweeten lightly with honey, if desired. Sip the tea slowly to reduce stomach pain from indigestion, bloating and feeling of fullness. 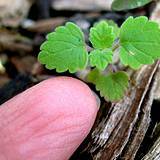 The antispasmodic action of catnip tea soothes the stomach and the intestines. 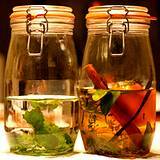 Make the basic catnip tea recipe (above) and offer 5 teaspoons on a spoon to adults, or the same amount in a bottle to a colicky baby. Note: this dosage is safe for infants. Apply a compress of catnip tea for the basic recipes (above) to the abdomen to reduce tension and bloating and to east the painful spasms caused by gas. This remedy also works well for children. Make an herbal tea using 1 teaspoon each of catnip and hops to 1 cup of boiling water and strain. Add this tea to the baby's warm bathwater. As you bath the child, stir the water to release the vapors; this will help to relax the nervous system and promote a calm and restful sleep. When suffering from a cold, the flu, measles or chicken pox, the soothing effects of organic catnip will promote healing and help induce sleep. Make the basic catnip tea recipe (above) or modify the recipe so that it's appropriate for child (see above). The statement's made here have not been approved by the Food and Drug Administration. These statements are not intended to diagnose, treat or cure or prevent any disease. This notice is required by the Federal Food, Drug and Cosmetic Act. Build a Home Business - A New Life - Dare to Dream!